The incident happened shortly before 3:00 in the afternoon along northbound Fair Oaks Boulevard where it intersects with Greenback Lane. It was reported by an individual in the bike lane that a vehicle was moving at a high rate of speed when the driver went into the wrong lane at the intersection and crashed into a church. It has not been reported whether the driver of the vehicle has been apprehended in the crash. The accident remains under investigation by local police as to cause. Distracted driving: Drivers who are distracted from the task at hand are more likely to miss seeing a stop sign or red light. They are also more likely to miss seeing another vehicle entering an intersection or pedestrian in a crosswalk. Speeding: Speeding influences the driver’s ability to stop quickly to avoid a collision. Drivers have also been known to speed up to race through a yellow light that is about to turn red, endangering others. Bad design: Intersections that are poorly designed can contribute to accidents, especially when they are confusing, have poorly designated lanes or signs that are hidden by trees and shrubbery. Defects in the motor vehicle: Defective parts such as tires, brakes or steering wheel can influence the way a vehicle steers or its ability to stop. Drowsy driving: Slowed reaction time and inattentiveness caused by drowsy driving can cause an intersection accident. Drugged driving: Illegal substances or prescription or over-the-counter drugs can make a driver drowsy, affect judgment and reaction times. Drunk driving: Drunk drivers are a major cause of all types of car accidents around the country. Driving impaired affects motor coordination, judgment and visual acuity, which can cause an intersection crash. Aggressive driving and road rage: Aggressive driving includes tailgating, cutting in and out of traffic and blocking others from passing or changing lanes. Road rage involves more serious actions such as sideswiping another vehicle, forcing a car off the road and making threatening gestures. 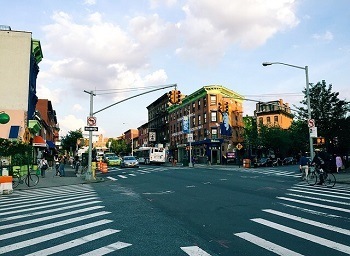 A hit and run accident can occur against property such as another motor vehicle or against an individual who is either injured or dies as a result. In California, hit and run can be charged as either a misdemeanor or felony. Under California law, any driver in an accident that causes damage must stay at the scene, and provide insurance and other information to the other individual and offer medical assistance if needed. In the event of an injury or death, they must remain at the scene until police arrive. Those who leave the scene of an accident, even if they are not at fault, can face charges of hit and run. I’m Ed Smith, a Citrus Heights car accident lawyer. An intersection accident can leave you or your loved one with injuries, medical bills and cost you time away from work. An experienced injury lawyer may be able to help you obtain the deserved compensation you need. Please phone me at (916) 921-6400 or (800) 404-5400 for my free and friendly advice. You can also go to my contact us page to leave a message online. 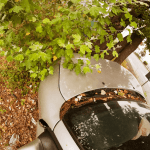 I’ve helped people in Citrus Heights for more than 36 years with all types of car accidents as well as wrongful death and traumatic brain injury claims. I am a member of Million Dollar Advocates, a forum composed of trial attorneys and limited to lawyers who have won more than $1 million for a client.